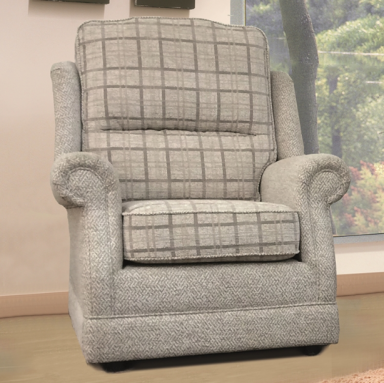 The Linda armchair comes with reversible cushions which can make up a pattern and plain combination. 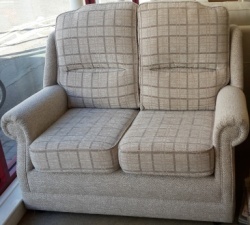 Matching 3 seater, 2 seater and recliner and available. 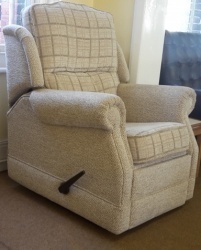 The fabric pictured and available to buy online is Maida Vale Chunky and Plaid Linen. 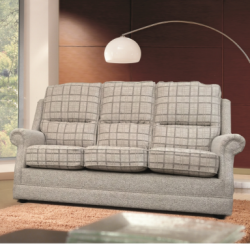 A large selection of fabrics is available to view instore.